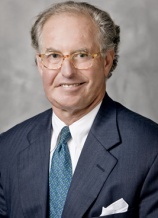 December 23, 2013- Memphis, TN- Oscar C. Carr, III has been named a Top 100 Litigation Lawyer in Tennessee by the American Society of Legal Advocates (ASLA). Mr. Carr was named by Best Lawyers as the Memphis Environmental Lawyer of the Year (in Litigation) in 2014 and the Memphis Construction Lawyer of the Year in 2013. Mr. Carr is listed by SuperLawyers as one of the Top 100 Lawyers in Tennessee and one of the Top 50 Lawyers in the Mid-South. He is a Fellow of the Tennessee Bar Foundation and a Fellow of the Litigation Counsel of America, a trial lawyer honorary society comprised of effective litigators throughout the United States. Mr. Carr has been named by the National Trial Lawyers as one of the Top 100 Trial Lawyers in Tennessee and has been named to MBQ Magazine’s Players List in Business Litigation since 2008. ASLA is an invitation only legal organization comprised of the nation’s most skilled lawyers. It was founded with one central purpose- to identify and promote only the most outstanding legal talent throughout the country.